Students in 8W have recently been working on a rainforest project in their Geography lessons. 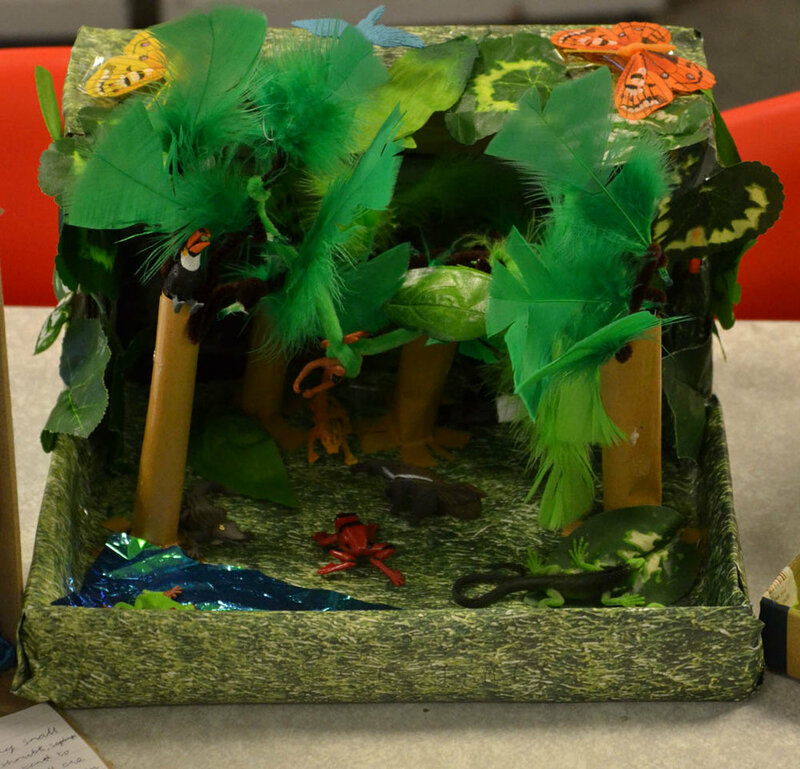 The brief for the students was to produce a ‘rainforest in a box’. As the photographs show, the finished articles contained lots of structural details with each layer of the rainforest displayed and adaptations of animals, locational information and climate. Rainforests cover 6% of the world’s land surface. The students produced some fantastic work. Well done 8W.